The Toronto Real Estate Board reported continued average price growth on a year-over-year basis for Toronto condos and lofts. The average selling price was $510,206 in Q3 2017 – up by 22.7% compared to the average of $415,894 reported in Q3 2016. 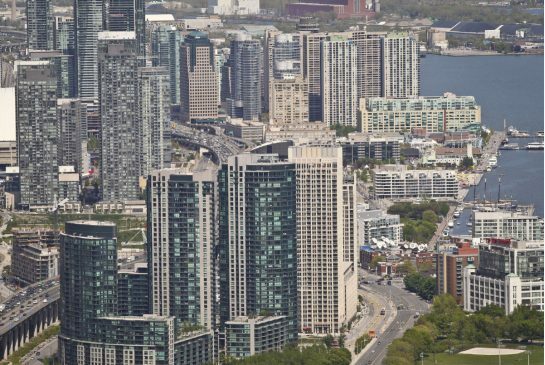 The Toronoto condo and loft market segment has exhibited the strongest average rates of price growth since the spring, relative to other major market segments. Competition between buyers remains strong, as listings remain below last year’s very constrained levels. The condo and loft market is not immune to a listings shortage. There were 5,684 condo and loft sales reported in the third quarter of 2017. This result was down from 7,991 sales reported during the same period in 2016. New condo and loft listings were also down on a year-over-year basis by 10% to 9,845 in Q3 2017 compared to 10,967 in Q3 2016. Condos and lofts will likely account for a greater share of home sales as we move forward. Consumer polling in the spring pointed to increased buying intentions for condos and lofts. With this in mind, it is not surprising that we have continued to see robust price growth, as demand has remained strong relative to available listings.